When you don’t have all the usual cooking tools you’re used to, you end up having to improvise quite a lot. squeezed lemon juice by hand: so. many. pips. ugh. The hardest thing to improvise though is a zester, especially when you don’t even have a vegetable peeler or a paring knife. When a craving for lemon scones hit I *had* to find a way to get the lemon zest into the dough. I ended up peeling the whole lemon, as you would an orange. It was creepy to say the least because naked lemons are not something I’m accustomed to seeing. I cut the zest into strips and then into squares. However due to the large amount of pith still attached to the zest I couldn’t just chuck it straight in. Having gone down the candied zest path before, I knew that the process actually helps to tone down that pith-bitterness and makes flavourful, chewy bites. I chucked the chunks of zest into a pan of lemon juice, water and sugar and let it bubble away until syrupy and translucent. I then stirred the whole mixture into the rest of the wet ingredients for the scones so none of lemon flavour was left behind! A last minute addition of fresh coriander to the scone dough brought green speckles to the citrus studded centre, just for fun. If you’re a coriander hater (I used to be, dw) then of course just leaf* it out. Peel the zest off of the lemon using a vegetable peeler. Slice the zest into thin strips then chop into small squares. Place the zest into a saucepan along with the sugar, water and the juice of the lemon. Heat over a medium-high heat until the mixture starts to boil, stirring well so the sugar is dissolved. Then turn the heat down leave to simmer and thicken for 7 minutes. Pour the mixture into a jug and set aside to cool. 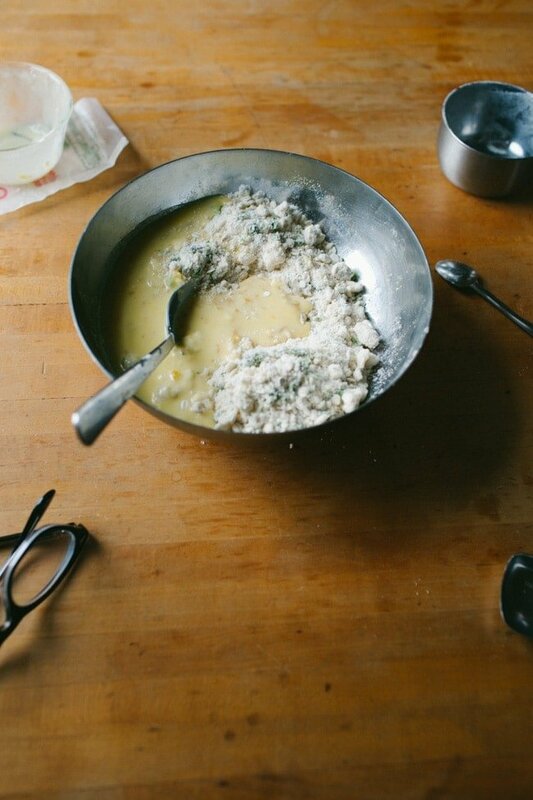 In a large bowl place the flour, oats, baking powder, salt and chopped coriander leaves. 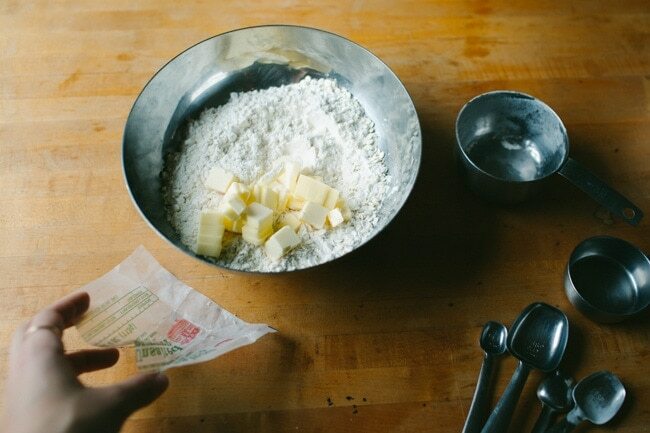 Stir together then add the cubed butter. Rub the butter into the dry ingredients until mealy with a few larger chunks of butter remaining. Chill this while you prep the wet ingredients. To the jug of candied lemon zest & syrup, add the yogurt and stir together. Crack in the egg and stir that in well, too. Pour this into the chilled dry ingredients and stir together just until no floury patches remain. 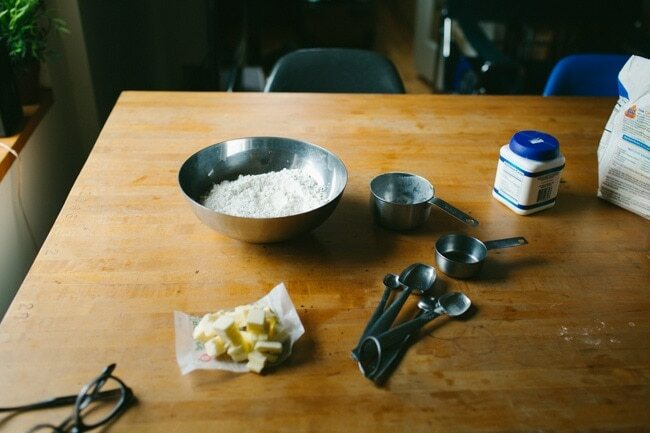 Place the dough into the freezer for 10 minutes while you preheat the oven to 350 F (180 C) and line a baking tray with parchment paper and sprinkle lightly with flour. 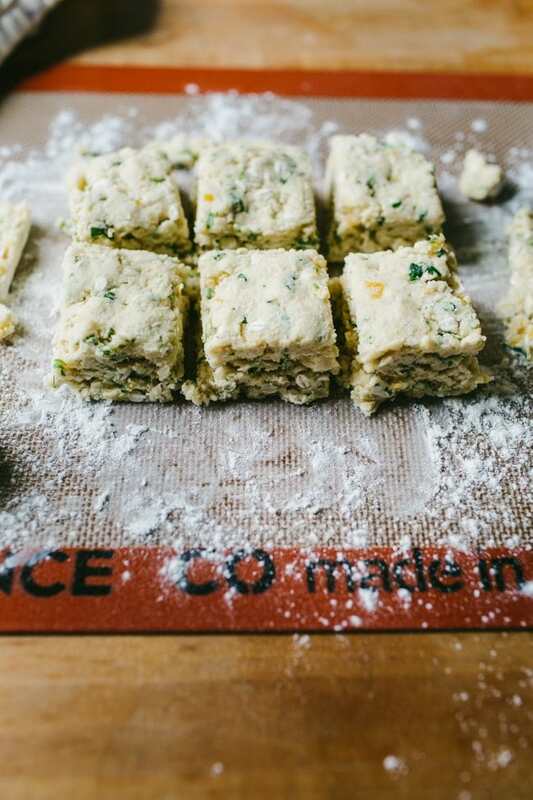 Transfer the dough to the lined, floured tray and sprinkle with a bit more flour. Pat the mixture out into a rectangle 2 cm thick. 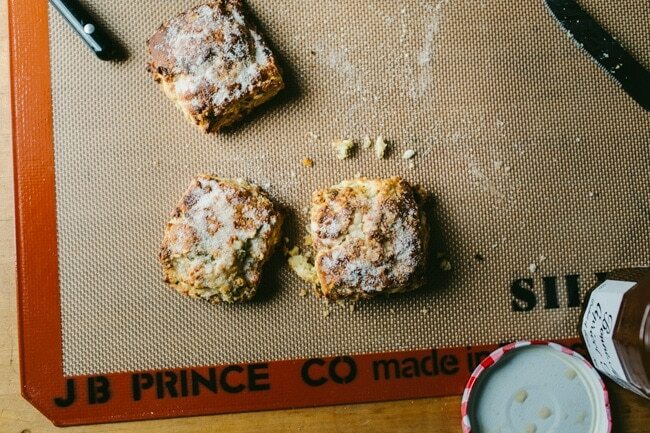 Cut into 6 squares and spread them around the baking tray. Brush with milk and sprinkle with granulated sugar (if you want) then bake for 25 minutes until golden. It really helps amp up the citrus flavour, I’m going to try it in a lemon cake soon I think! DAT CREATIVITY THO! you innovative thang you! 🙂 i hope your trip is going well – what an exciting time!!! and btw that pun literally just mad my morning. I love the perfect shape of the scones, it’s so difficult give them a shape so precise! I do candied orange peels for cakes like brownies in my own way: I keep orange peels freezing them right after peeling and the take them out, cut just as you do, then put them in a cup with 1 tablespoon of honey, then microwave for 1-2 minutes. It does give orange taste a great aroma to the batter. I know exactly what you’re up against with no tools and traveling. We also travel a lot but when you write a food blog, well, you cook and eat and take photos. So we make due — you did a great job and your scones look wonderful. 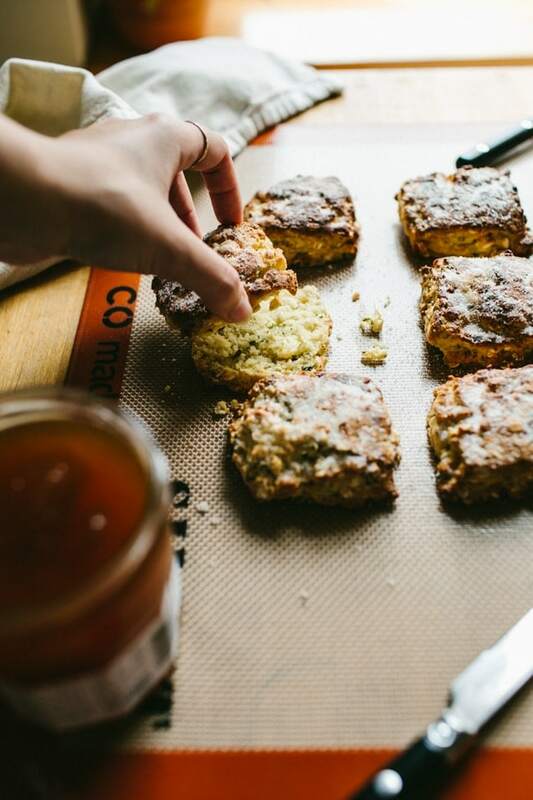 I’ve made quite a few biscotti but never scones. I think it’s about time. Thank you for sharing your recipe. 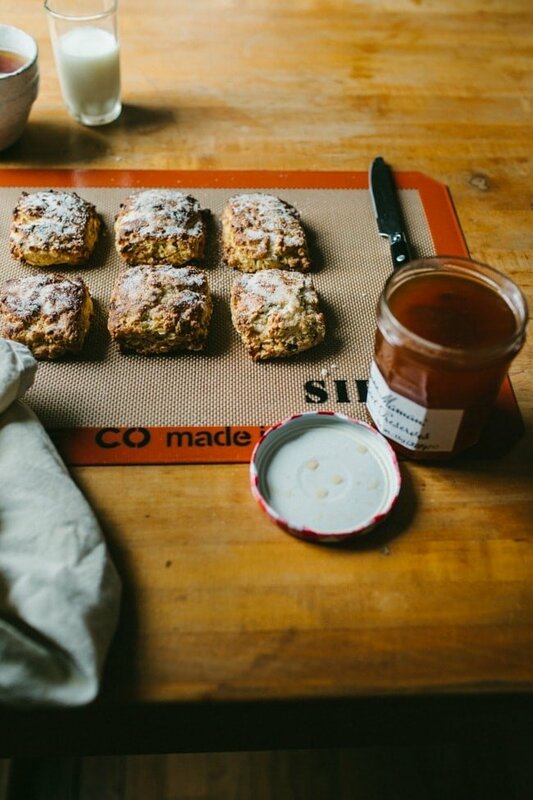 I have yet to master a GF scone recipe for life or for The Blog. This sounds too amazing for me to pass up! I’ll have to experiment with a GF version of these bad boys. i have not tried candied lemon yet but it sounds wonderful paired with baked goods. The candied lemon zest in these sounds so incredible! 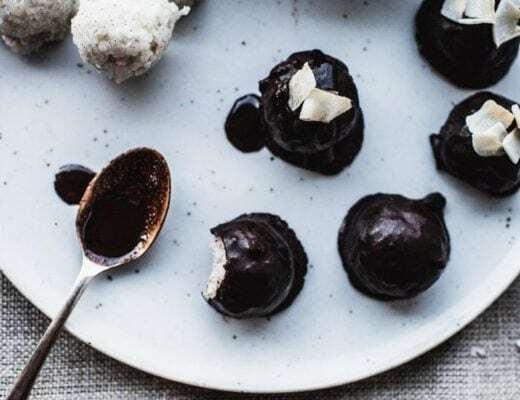 Such a yummy recipe! Ah yes–naked lemons are weird, I totally agree 🙂 These scones look delicious! I love scones! I’ve never candied my zest before, it’s a great idea. I guess I never knew how easy it was! What a brilliant way to solve your zester problem! 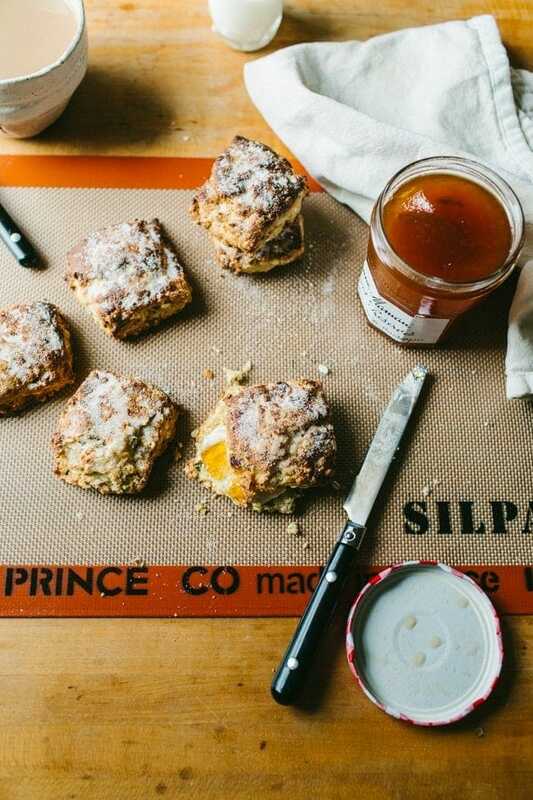 The thought of chewy candied lemon inside these scones sounds absolutely delicious! seriously, cilantro/coriander? No thanks but no thanks. 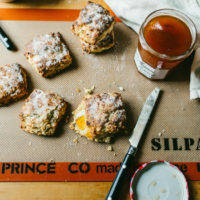 Otherwise great tasting scones. What a wonderful flavour pairing! I love the freshness of coriander! Also, a naked lemon really is the weirdest sight ever!! PUN SO HARD. 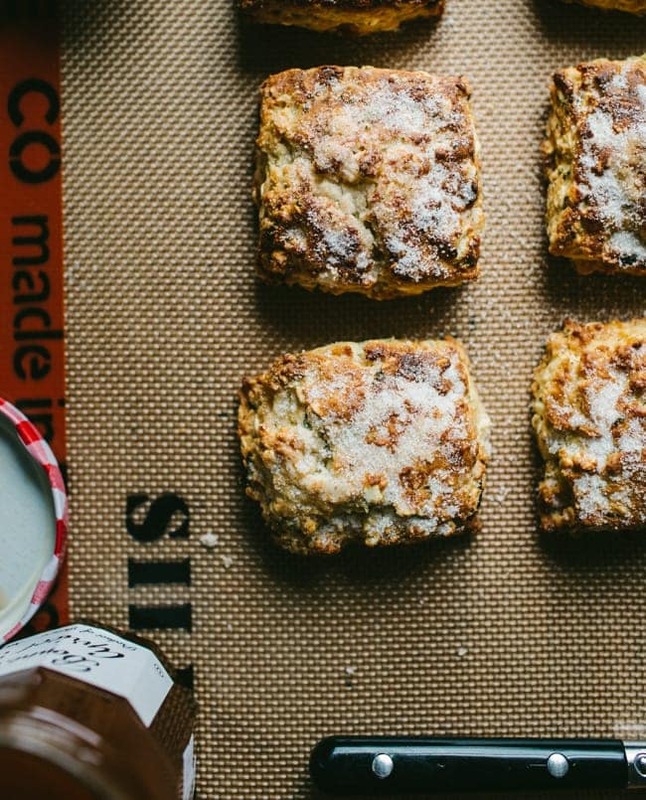 Also, scone so hard. These look amazing. Look good. Are “old-fashioned oats” the same as jumbo rolled oats?